PawnBroker Gold has a lovely range of genuine secondhand Pandora Bracelets and genuine Pandora pre owned Charms for sale at reasonable prices. Treat yourself or a loved one today to an exquisite mesh bracelet from PANDORA. Expertly crafted from sterling silver, the bracelets feature a radiant finish ensuring you stand among the crowd. A round PANDORA branded clasp accompanies the mesh chain, providing a safe and reliable fastening. Wear alone for a subtle finish to your outfits, or accentuate your individual flair by adding charms. PawnBroker Gold also has a variety of preloved authentic Pandora charms to decorate your bracelet, hand-finished from precious 14ct gold, sterling silver, PANDORA Rose and Murano glass. 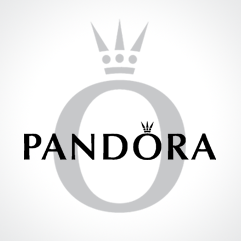 If we do not see the Pandora item that you are looking for contact us to see if we have anything in stock that is not yet listed on our site.